Lydia was raised in a family of educators and she developed a passion for learning and people because of it. During high school, Lydia volunteered at a children’s therapy unit in a local hospital and it was there that she developed a passion for accessibility. She shadowed occupational therapists and speech therapists while volunteering in a children’s feeding therapy group. Lydia got to witness the incredible improvements that technology can have in children’s lives in the areas of rehabilitation and learning. At the University of Washington as an undergraduate, she found a discipline where she could merge and combine all of her two passions: human-centered design and engineering. Lydia learned that products and technology can only be as powerful as the designer's understanding of the human who will be using the product. While at EDI, Lydia hopes to continue to incorporate empathy as she creates products and technology that are focused on learning, accessibility, and empowering others. 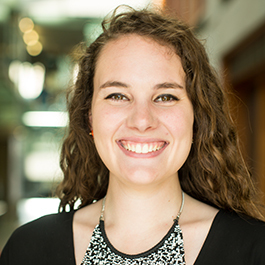 Lydia came to EDI to continue to pursue human-centered design and engineering, but through a product design lens. She feels that EDI and the Segal Design Institute fully appreciate the power that lies within human-centered design thinking and I want to discover how this foundation can be implemented within product design. Her undergraduate degree primarily focused on human-computer interaction design and research. Lydia worked with the University of Washington’s Information School in a program titled Kids Team. Kids Team brings children ages seven through eleven years old together to co-design with researchers in University of Washington departments or industrial organizations. Lydia conducted co-design and participatory design activities with the children in a professional research environment using a hands-on approach. Kids Team provided her with the chance to blend her past experiences working with children with her love for design and collaboration. From Kids Team, Lydia gained a better understanding of children and technology from a research perspective. 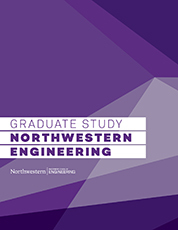 She also realized that she wanted to attend graduate school, specifically in Northwestern’s EDI program. Lydia knew that she wanted to broaden her knowledge and learn about how to design and make physical products, in particular, products focused on learning and accessibility.